You can hold the Shift key while scrolling to scroll horizontally with most decent browsers. 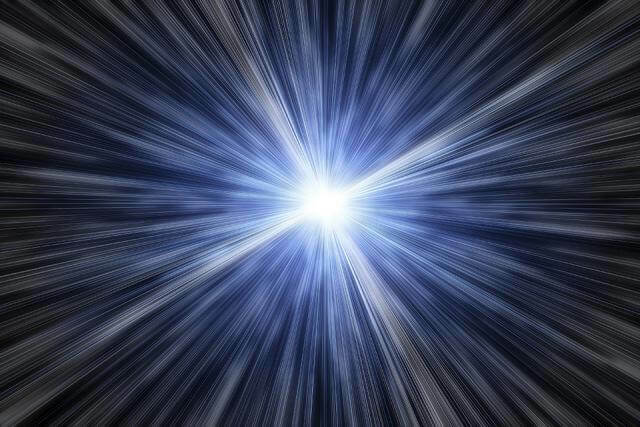 Not much is known about the moment of the Big Bang. At this point, our understanding of physics is not adequate to describe it. At this point in time the universe is estimated to have been 10-35m in diameter and 1032K on average. Because of the extreme conditions at this time, the four fundamental forces all acted as manifestations of a single, unified force. By this time, gravity has separated from the unified force, and the three remaining fundamental forces (Electromagnetism, Weak Nuclear, and Strong Nuclear) all act as a single force known as the Grand Unified Theory. The GUT Era ended when the Strong Nuclear Force separated from the rest, causing the universe to inflate to 1035 times what it was. At this point, only two of the fundamental forces were still combined - Electromagnetism and Weak Nuclear. The Era ended when the universe was cool enough to no longer support the unification. In the Quark Epoch, the universe was still too warm to support hadrons, so all that was around was a sea of quarks, or a quark soup. At this point the quarks combined to form the hadrons we are now familiar with such as the proton, neutron, and electron. 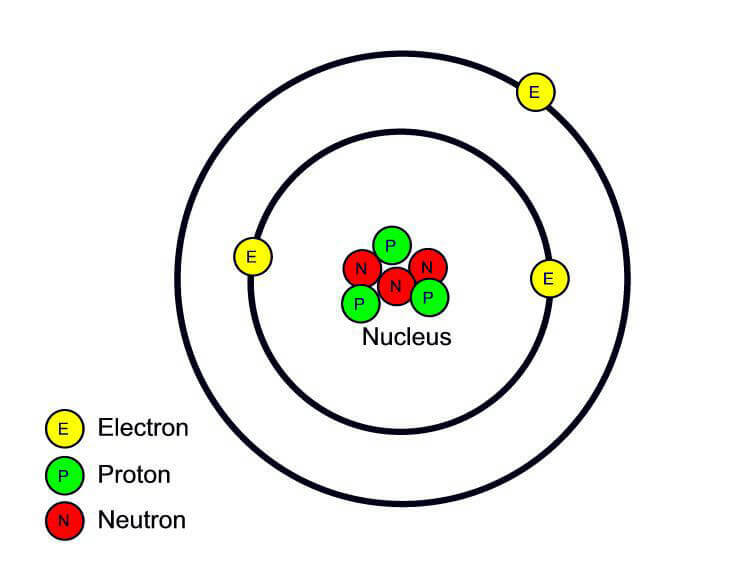 As the universe continued to cool, it became possible for the protons & neutrons to form nuclei. At a temperature of 109K, nuclear fusion can no longer continue and the only elements that have been formed are Hydrogen and Helium. This period is also considered part of the "Dark Ages", where due to decoupling the Universe is transparent. This is because the photons have nothing to scatter off of. At this point, the universe was at about 1000K and electrons were able to combine with nuclei to form proper atoms. The very first stars begin to form. The unconfirmed oldest star found is known as "Methuselah", and is estimated to be 14.5 billion ± 800 million years old. 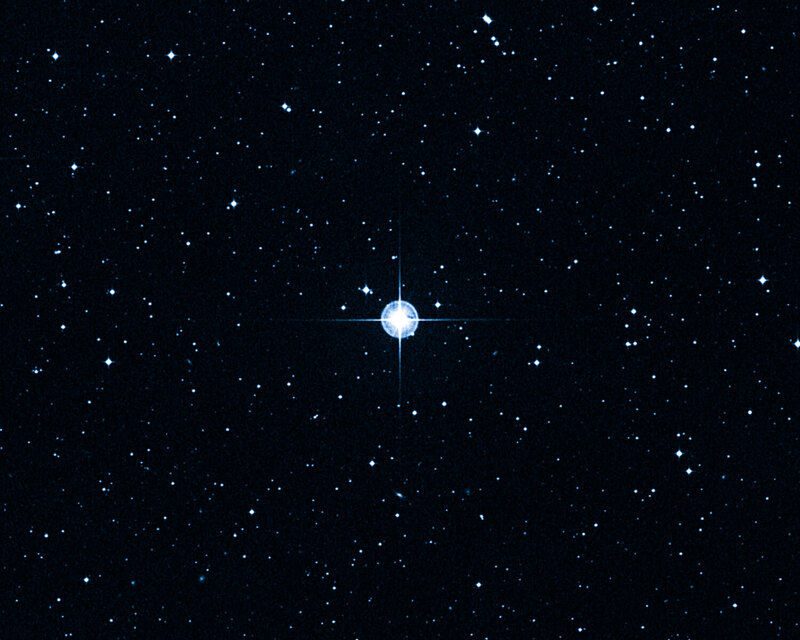 The star is named after the biblical patriarch believed to be the oldest person ever, Methuselah. At this point, gravity began to pull the collections of stars into galaxies. The first sunlike stars begin forming, capable of creating terrestrial planets (previously, solar satellites were just gas giants). The Sun formed from a nebula 20pc across, and the collection of gas and dust around it coalesced into the solar system we know now. The eight planets have formed, but alongside them are many planetessimals. This period is known as "The Violent Years" due to the frequent collisions between them, which is what made the Hedean Eon basically hell on Earth. It was in the Archaean Eon that single-celled life began to form, and by the Proterozoic Eon basic multicellular life also started. According to the Giant Impact hypothesis, around now is when the Mars-sized planet Theia collided with earth. 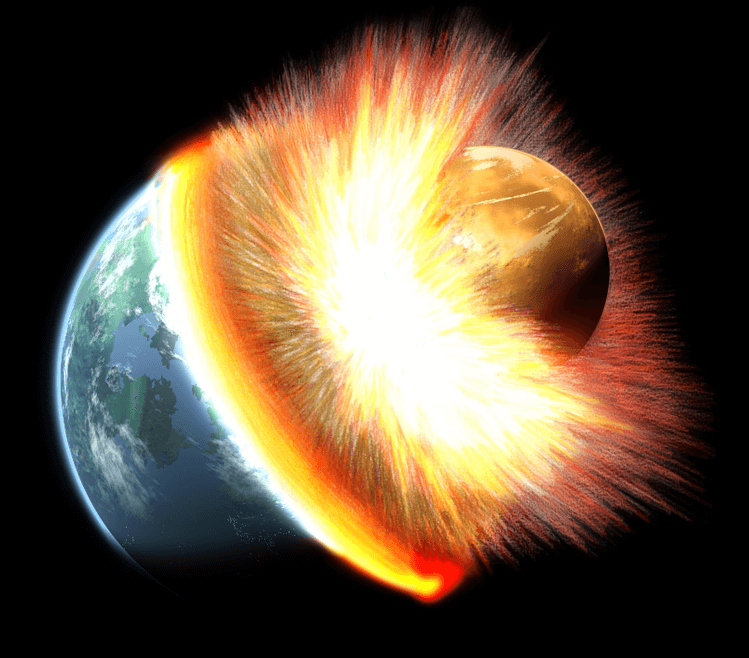 The debris thrown off in the collision then coalesced into the Moon, albeit a likely molten one. The Cambrian period is the first one after the Proterozoic Eon in the Paleozoic Era, and lasted about 50 million years. Over the course of the period the Earth gradually grew warmer, and as a result life exploded in the seas. 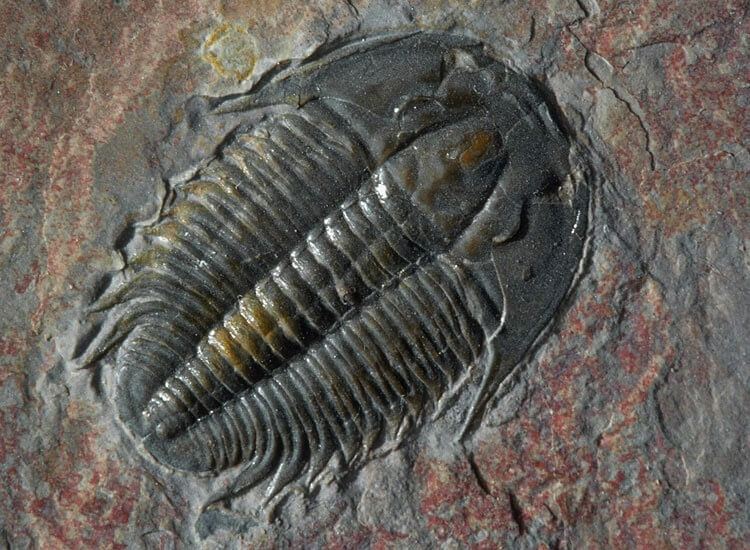 Some of the creatures that inhabited the time period were trilobites, hallucigenia, sponges, and one-celled algae. The end of the period is marked by a mass-extinction - advancing glaciers likely decreased the temperature of the shallower water, killing off anything that could not handle the change. 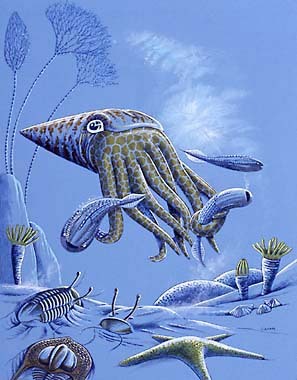 The Ordovician period lasted about 47 million years, and still maintained most of it&apos;s life underwater. Trilobites continued to thrive, though now the cephalopods, brachiopods, and crinoids took the place of the Cambrian life. The Ordovician was also home to the first plants to grow on land, although they had to remain in very wet areas because they had no means of transportinmg water throughout their bodies (had to let water flow through their cells directly). Over the course of the period, the supercontinent Gondwana gradually moved down to cover the South pole. Because of the colder climate at the South pole, glaciers began to form, dropping the sea level and cooling the waters. Because of the lower sea level and cooler climate, many of the species of this period died out. The Silurian period was much warmer than it&apos;s predecessors, and was the first period to have proper land plants. During the 26 million year period many of the moving continental plates collided, uplifting and drying up the coasts. This forced land plants to adapt to the new dry land or die. The period was also home to arthropods - namely 10-foot-long sea scorpions that preyed upon the dominant cephalopods of the Ordovician. 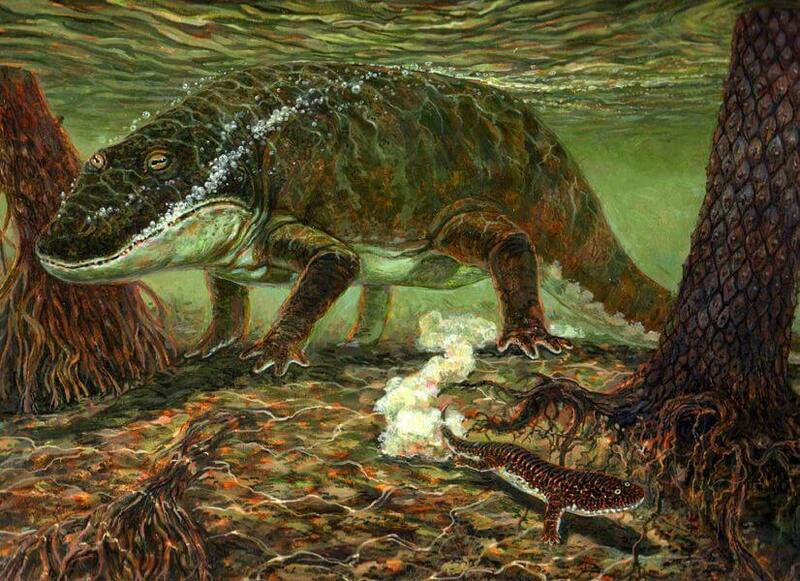 Alongside the other new species, the Silurian period was also home to the first fish with jaws. One of the most important aspects of the 63 million year Devonian period was the tectonic movement of the time. North America and Europe collided to form Euramerica and the Appalachian mountain range, and Euramerica and Gondwana spent the time moving closer to one another at the equator. Being so close to the equator, the climate was warm and very good for new land plants. The land plants gained the ability to transfer water throughout their system by themselves (veins) and the ability to reproduce with seeds. These new developments allowed them to grow inland. The aspect the period is best known for however is the large number of fish. 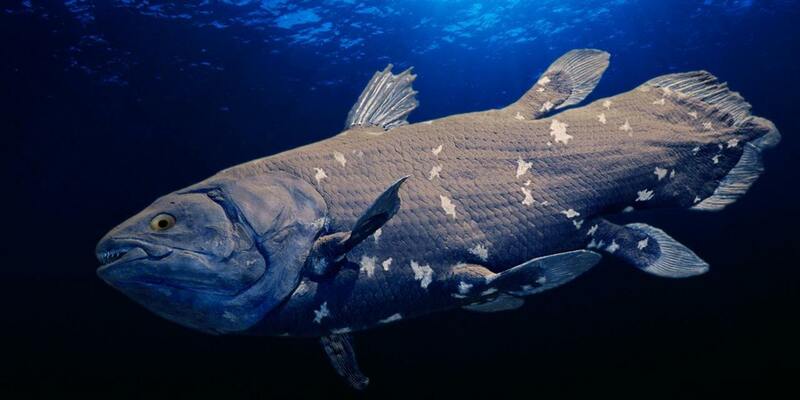 The Age of the Fish was home to the first sharks, Dunkleosteus, Lungfish, Coelacanth, and massive coral reefs. This 64 million year period is split into two sub-periods known as the Mississippian and Pennsylvanian (started 31 million years in). The period gets it&apos;s name from the massive amount of carbon (coal) produced from the plants from the period. The climate was warm and very humid, so plant life was abundant. The increased amount of oxygen in the air from the plants led to the development of larger animals, including the new reptiles & amphibians the period is known for. The last period of the Paleozoic Era is the Permian. During this period, Euramerica and Gondwana collided to form Pangaea, forming more mountains as a result. Because of how large Pangaea was, the middle areas were so far away from water that they became deserts with little to no moisture. These deserts forced plants and animals to adapt to dry climates, killing off many amphibians and swamp plants & heavily favouring reptiles. 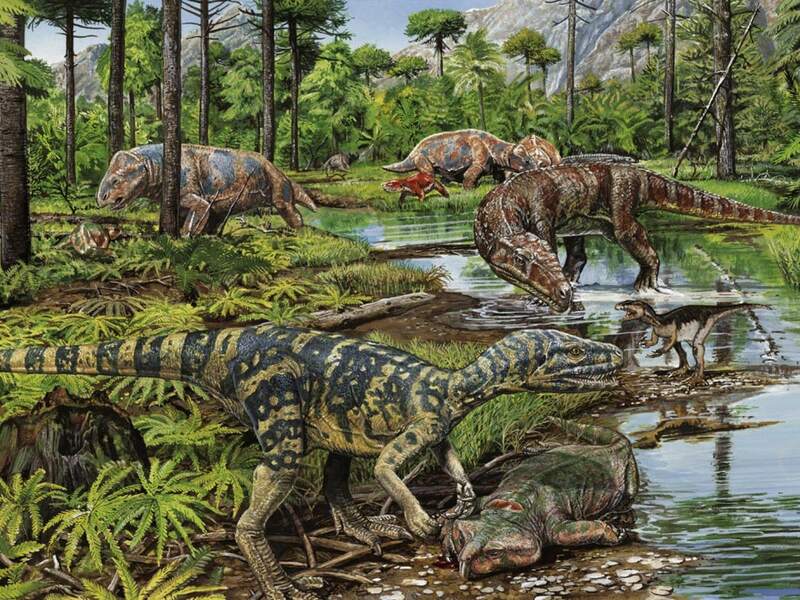 At the end of the 42 million year period was the worst mass extinction in history. 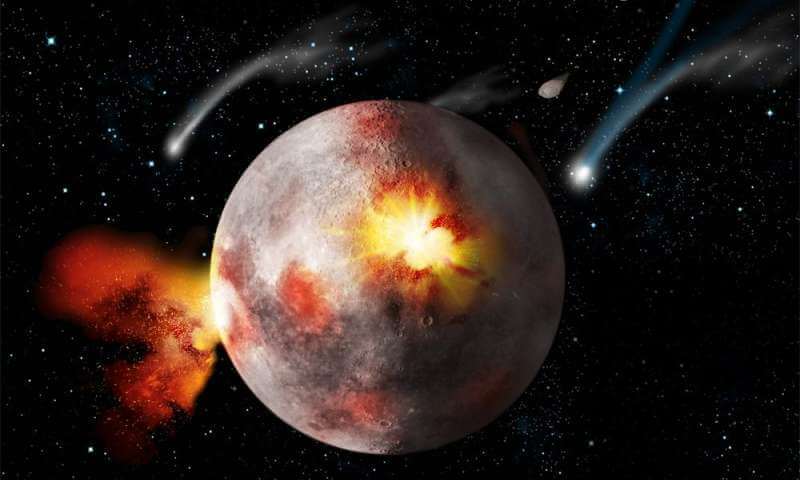 No one knows for sure what happened, but some of the most likely causes were meteor impacts, massive volcanic activity, and microbe-caused release of methane. The Triassic period marked the beginning of the Mesozoic Era, or the Age of Reptiles. The climate was warm due to Pangaea sitting on the equator, so reptiles continued to dominate the times. 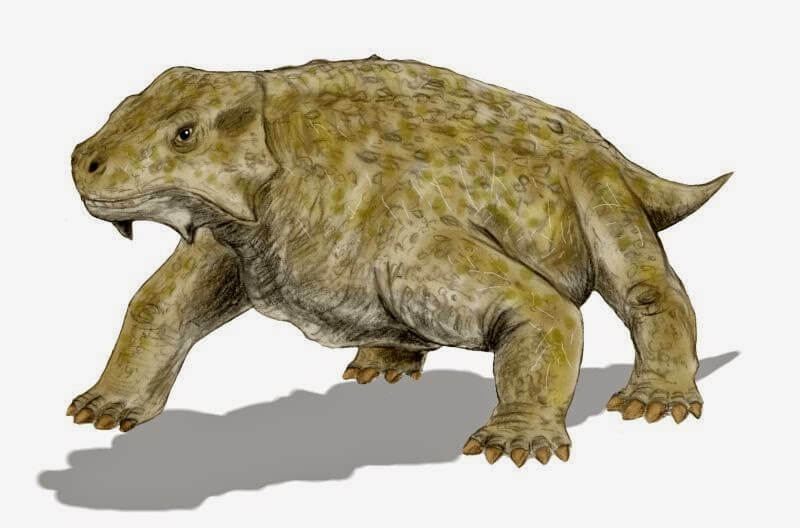 Alongside the reptiles, the first dinosaurs began to form as well as the first mammals. During this 42 million year period is when Pangaea first started to break up again, into Laurasia and Gondwana. 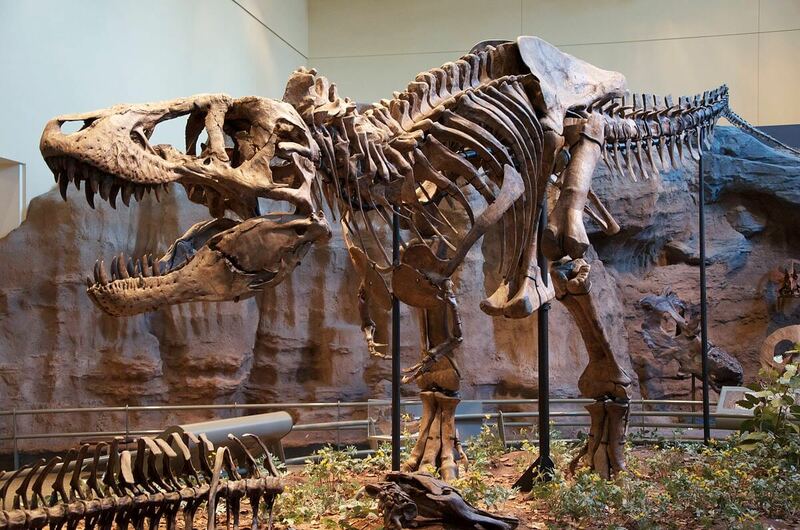 This 62 million year period is known as the age of the Dinosaurs, home to a wide variety of new species of dinosaur and plant alike. 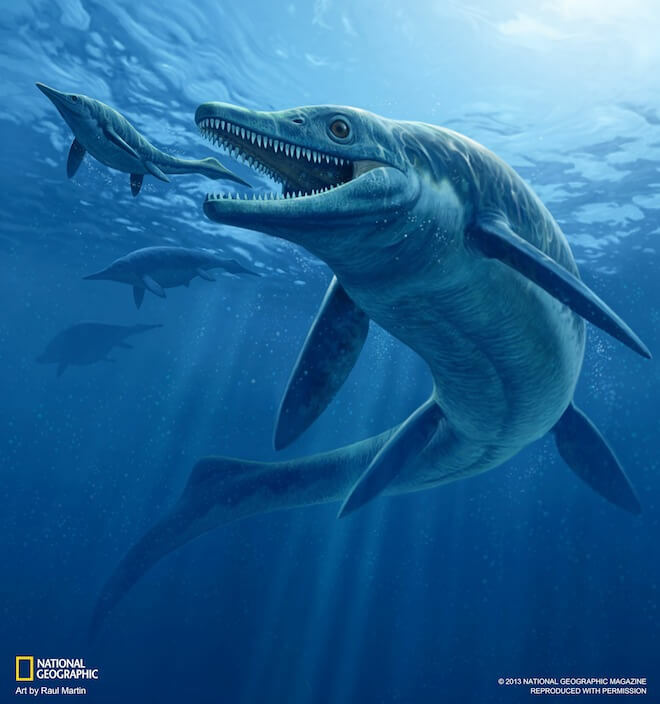 The waters were home to invertebrates, sharks, and the massive Ichthyosaurs & Plesiosaurs. On land however, the dinosaurs grew larger, with 45-foot-long Diplodocus. 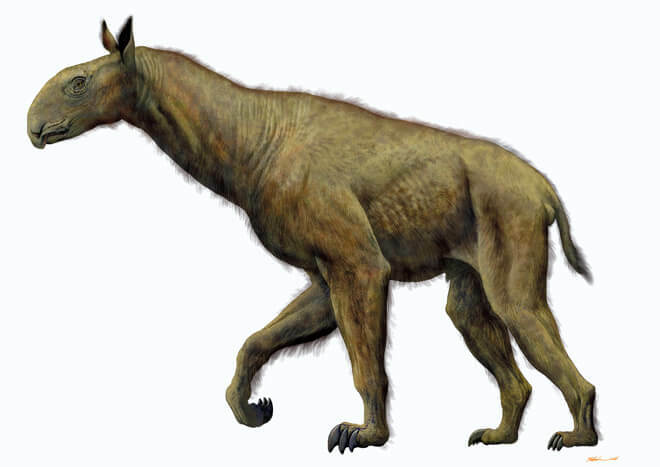 Throughout this, mammals remained small. The last period of the Mesozoic Era, the Cretaceous lasted 79 million years. South America and Africa broke off of Gondwana, creating a rift that formed a mountain range in the Atlantic Ocean. 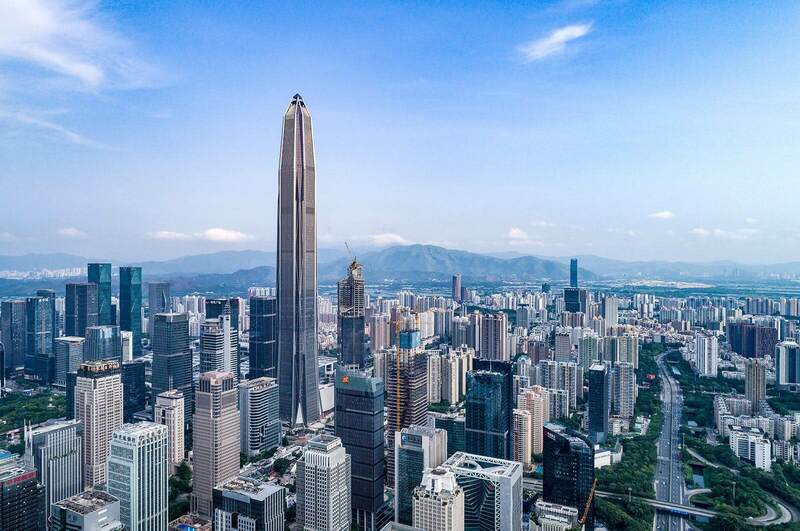 This mountain range was so large that it may have raised sea levels up to 100 metres. Between the Cretaceous and Jurassic periods, not much changed in the sea life, though on land theropods such as the Tyrannosaurus Rex and ceratopsian creatures like the Triceratops developed. As for the flora, new flowering plants grew for the first time, which in turn caused new insects to develop. At the end of the period, it is suspected that a meteor hit the Gulf of Mexico and wiped out 70% of oceanic life and killed almost every species of land life over 23 kilograms. The beginning of the Cenozoic Era, marking the extinction of the dinosaurs and the dawn of mammals as we know them. This Era is split into the Tertiary and Quaternary periods and the final section of the Tertiary period (the Pliocene epoch at 5.3MYA) is when the first of the hominids formed - the Austrolapithecus. The dawn of hominids. After the Austrolapithecus, the Homo Habilus came along (1.5 - 2 MYA) with a much larger brain. 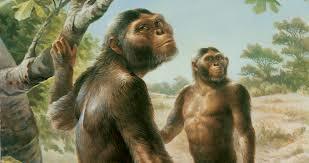 After the Homo Habilus, there was the Homo Erectus (1.5MYA) that learned to control fire. At 400KYA, there were two types of hominid - the Neanderthals and the Cro-Magnons. The Neanderthals were much stronger, but the Cro-Magnons were more akin to us. The beginning of humans as we know them today. Some content that I wanted to display does not make sense to display in a timeline, so I have created a separate page for it.